Chatsworth Windows are leading the way when it comes to installing the most stylish and luxurious conservatories in the area. Whether you want a conservatory for a living room, garden room, breakfast room, playroom or even an office, you’ll soon come to realise that it is truly a room for all seasons and you’ll wonder how you ever went without it. We offer an increasingly wide range of designs, styles and colours – you bring in a colour swatch and we will match it! From traditional to contemporary, you can rely on us to take you from the initial concept to the finished product! Click here to find out about our exclusive Smart Glass roof option. Additional living space. Adding a conservatory to your home will increase size of one of your down stairs rooms. This can be especially useful for a growing family, or a house looking for more room to live or entertain in. Enjoy your garden all year round. 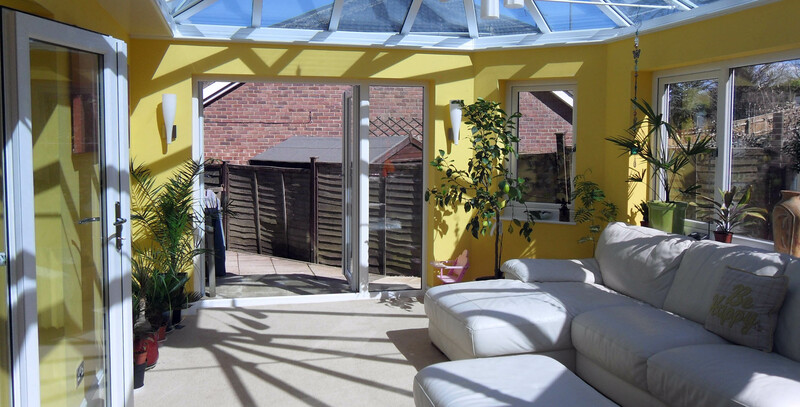 With a Chatsworth conservatory you can enjoy the views of your garden without bracing the cold weather. As we all like to sit in the garden in the summer, have BBQ’s, family get-togethers and simply to enjoy the views. We often lose this luxury in winter as we steer clear from our gardens, but by building a conservatory, this can become a thing of the past. Add value to your home. 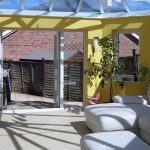 Having an extension built on your home, in particular a conservatory that lets a vast amount of light in, is a fantastic addition to any property.